After a career in Education, Ann Corbett retired to Cape Cod and studied art with various Cape artists. She is an award winning artist member of The Cape Cod Art Association, where she has also served on The Board of Directors. Her work is shown there, and at Dan'l Webster Inn in Sandwich. Ten of her paintings are featured in The Sandwich Junior Women's Club cookbook and her painting, Pamet Harbor,is on the cover of a mystery novel called Murder on the Dunes. 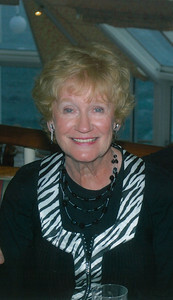 Her paintings, prints and notecards may also be viewed at various Hallmark Stores and at her home studio.